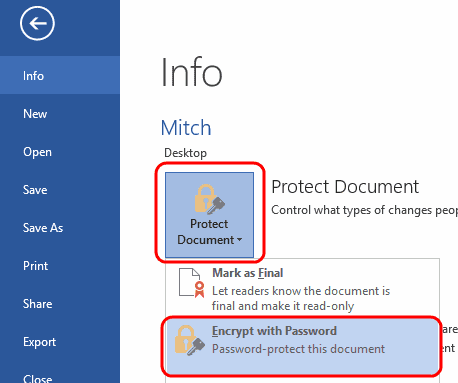 Password protect your Microsoft Word 2016 document. You can prevent people from viewing or modifying documents unless they have a password with these steps. With the document you wish to password protect open, select “File” > “Info“. 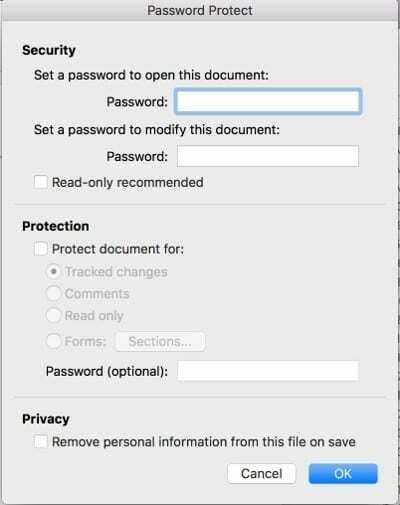 Select the “Protect Document” option (icon with a lock). Type the password you wish to use, then select “OK“. Type the password again, then select “OK“. Save the file in the docx format. It will then be password protected. 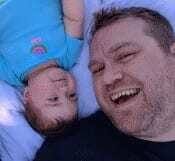 Enter a “Password to open” or “Password to modify“, or both. Select “OK” when done. Retype the password(s) when prompted. Select “OK“. Choose “Save“, and you’re done. With the document you wish to password protect open, select “Tools” > “Protect Document…“. Set a password in the fields desired. You can protect the document from being opened and/or modified. How do I remove the password from the file? Open the file, type the required password, then go to “File” > “Info” > “Protect Document” > “Encrypt with password“, then simply remove the password and click “OK“. Be sure to save the file, and it will not require a password the next time it is opened. My email system won’t allow me to send this file. What do I do? 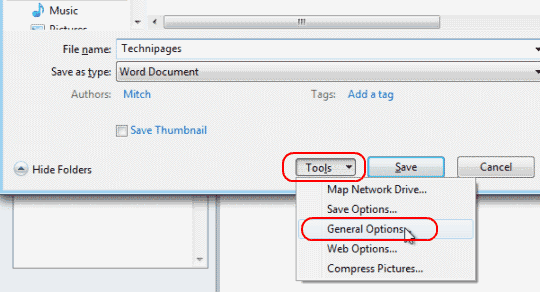 Try to zip the file using Winzip or WinRAR, then send the zipped file via email. I have set encryption, but when I open the document again, it isn’t prompting me for a password. Why? 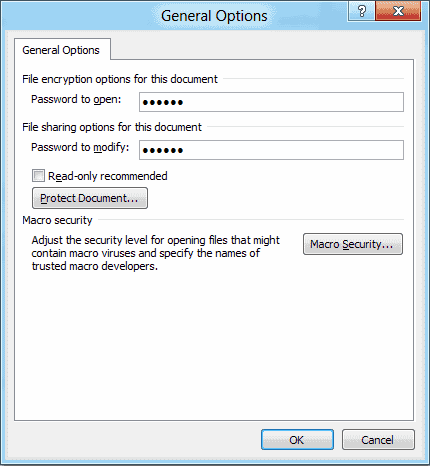 You probably saved the file in a format that supports encryption like Rich Text Format (RTF). Save the file as “Word Document (*.docx)“. I’m having the exact same problem as Monty when I try to “Stop Protection” in Restrict Editing. I KNOW MY PW is correct, etc. Why is it now not accepting it???? ?